 Cotton, F. A. Chemical applications of group theory., F. A. Cotton. D. Sutton, D. (1968). Electronic spectra of transition metal complexes, McGraw-Hill-London, 1968. Drago, R. S. Physical mmethods in inorganic chemistry, R. S. Drago..
	Figgis, B. N. (1966). Introduction to ligand fields, John Wiley & Sons. Lee, J. D. (2010). Concise Inorganic Chemistry, 5th Edition, Wiley. Atkins, P., Overton, T., Rourke, J., Weller, M. and Armstrong, F. (2010). Inorganic Chemistry, 4th Edition, Oxford University Press. Sutton, D. (1968). Electronic spectra of Transition Metal Complexes, McGraw-Hill-London. Dutta, R. L. and Syamal, A. 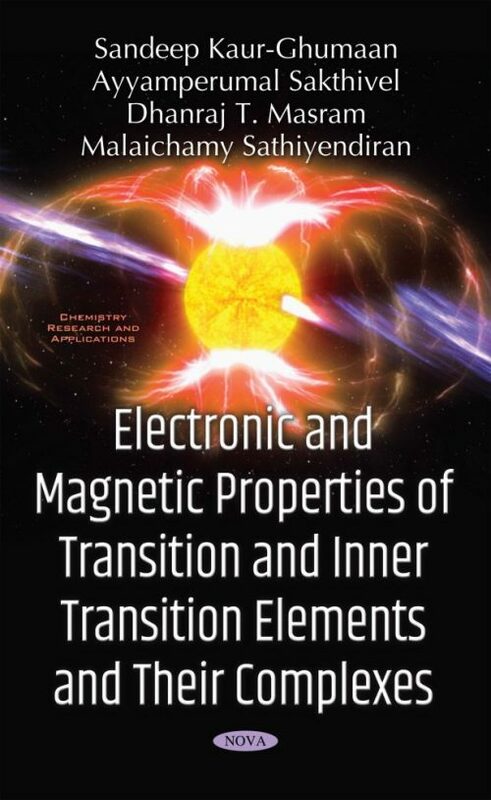 Elements of Magnetochemistry, 2nd Edition, East-West Press Pvt. Ltd.
	Miessler, G. and ary; Tarr, D. (2004).onald. Inorganic Chemistry., Pearson Education Inc., New Jersey, 2004. Hatfield, W. F. and& Palmer, R. A. (1971). PProblems in Structural Inorganic Chemistry W. A. Benjamin, Inc.: N.Y. (1971). Shriver, D. F., Atkins, P. W. ∧ Langford, C. H. (1998). Inorganic Chemistry, 2nd Ed., Oxford Univ. Press (1998). Purcell, K. F. and& Kotz, J. C. (1985). Inorganic Chemistry, W. B. Saunders and Co.: N. Y. (1985). Wulfsberg, G. (2000). Inorganic Chemistry Univ. Science books: USA (2000); Viva Books: New Delhi. Lakowicz, J. R. (2006). Priniples of fluorescence spectroscopy, 3rd Ed., Springer.